Al Ahly's hated referee to officiate in the match against Sundowns - SABC News - Breaking news, special reports, world, business, sport coverage of all South African current events. Africa's news leader. Al Ahly fans still have not forgotten the final officiated by referee Pakari Papakasama who will be in charge of their second leg quarterfinal clash against Sundowns. Ahead of Mamelodi Sundown‘s second quarterfinal clash with Egyptian giants Al Ahly in Cairo Saturday night, the appointment of referee Bakary Papa Gassama has some tongues wagging in Egypt. However, Sundowns are hopeful and South Africans at large will be comforted by his inclusion, since the Gambian referee is not admired by the host team. Papa Gassama officiated Al Ahly’s last appearance at the finals two years ago, when they lost out to Tunisia’s Wydad Casablanca. “Here is a man whom I understand is one of the most disliked match officials by the Al Ahly fans. 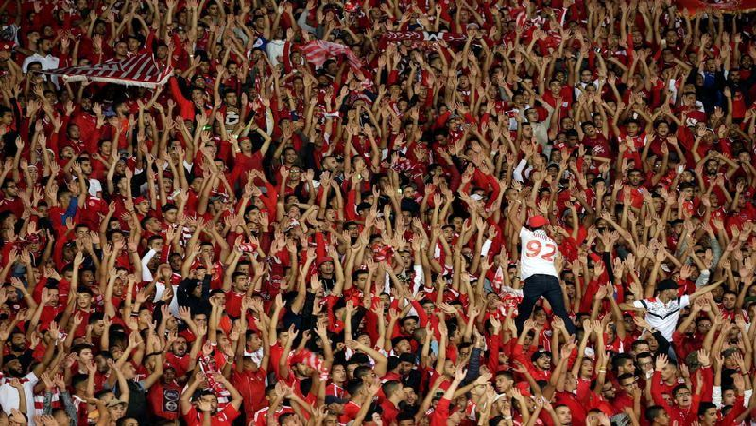 They are hard to please – the ultras of Al Ahly fans. You will recall that back in 2017 Bakary Papa Gassama was in charge of the Caf Champions League second leg final, which Al Ahly lost to Casablanca. So, since then Al Ahly fans have never forgiven him,” says SABC soccer journalist Velile Mbuli. Sundowns won the first leg of the quarterfinal 5-0 in Tshwane last week. This entry was posted on 12 Apr 2019,09:16PM at 9:16 PM and is filed under Sport. You can follow any responses to this entry through the RSS 2.0 feed. Both comments and pings are currently closed.